The Spanish Governor’s Palace is a national historic landmark, labeled that once housed the officials of the Spanish Province of Texas. The entrance displays the double-headed eagle of the Hapsburg coat-of-arms and the inscription, in Spanish, "finished in 1749." Other features include period furnishings and a cobblestone patio with fountain and foliage. San Antonio Missions National Historic Park the Mission Trail is a walking, biking or driving experience of the five local missions and the centuries of local history and culture: Mission San Antonio de Valero, commonly known as the Alamo, Mission Concepción, Mission San José, Mission San Juan Capistrano and Mission San Francisco de la Espada. 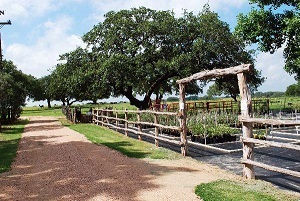 The San Antonio Mission Trail begins at the Alamo and winds southward along a nine-mile stretch of the San Antonio River. 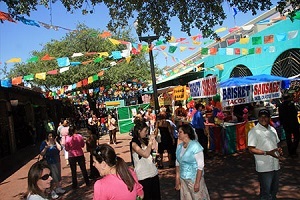 The King William District is a sprawling 25 blocks area in downtown San Antonio. 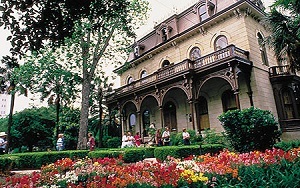 The 19th century residences on the San Antonio River south bank have been preserved and transformed into cafes, art galleries, museums and shops. As the most elegant residential area in the city, it was settled by German merchants who brought with them a distinct architectural style; it remains a fashionable neighborhood. 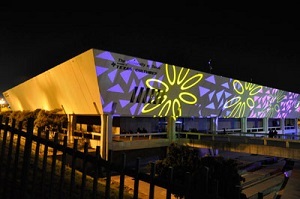 The Institute of Texan Cultures features exhibits, programs and events that examine heritage, ethnicity, history, social issues and popular culture with a focus on the stories of immigrants who settled in Texas and contributed to its modern, multicultural society. 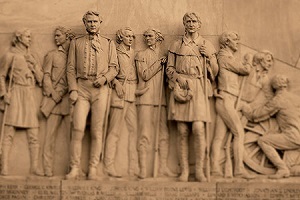 The Alamo is a 4.2 acre complex and a 300 year symbol of Texas history. This is where Spain began its colonization, Mexico sought independence and the Confederacy stood its ground. But it is best known as the place where a small band of Texans held out for thirteen days against General Antonio López de Santa Anna. 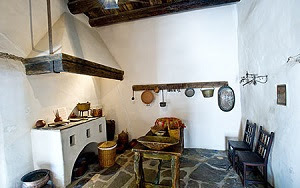 The Alamo houses exhibits on the Texas Revolution and History. 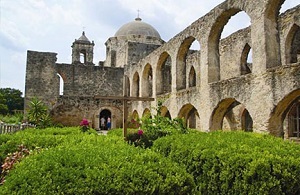 San Antonio’s galleries range from fine art to local and folk art, local artists' work and everything from Egyptian antiquities to Western and Asian art to works by European masters. 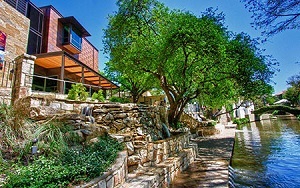 The San Antonio Museum of Art’s global collection represents 5,000 years of history and cultures from around the world. Housed in a complex of buildings that was once the Lone Star Brewery, the Museum is renowned for its collections of Latin American, Asian, and Ancient Mediterranean Art, and includes a notable contemporary collection. The Briscoe Western Art Museum preserves and interprets the art, history, and culture of the American West through engaging exhibitions, educational programs, and public events reflective of the region’s rich traditions and shared heritage. 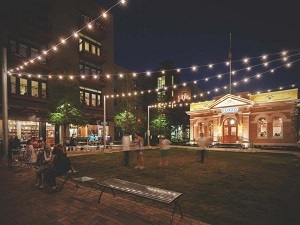 Located along the San Antonio River Walk, its campus is inclusive of the restored historic 1930s art deco/neo classical former San Antonio Public Library building which now serves as the Museum space with nine galleries on three levels. 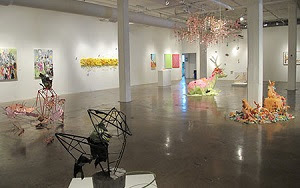 Blue Star Contemporary Art Museum is an incubator for contemporary art, hosting over twenty exhibitions each year within its four on-site galleries and multiple offsite locations within the community featuring emerging and world-renowned local and global artists. 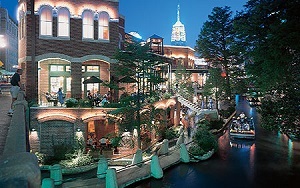 San Antonio’s River Walk is one of the most visited sites in Texas, providing scenic pathways and waterways for the city’s cultural and historic sites, as well as a picturesque link between restaurants, hotels and shops. The River Walk meanders along the San Antonio River’s stone pathways connecting shops, restaurants, hotels, museums and the city’s historic and modern architecture. 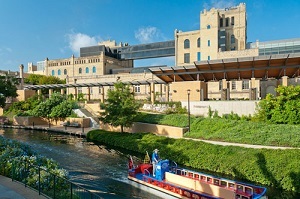 A River Cruise Barge covers one and a half miles of the San Antonio River Walk. Olive Oil Orchards some of the first commercial olive oil orchards in Texas lie just 20 minutes south of San Antonio producing olive oil and olive leaf based skin care products along with an emphasis on hospitality and educating the public on the benefits and various uses of olive oil. Ranger Creek Brewing and Distilling is a combined brewery and distillery making beer and whiskey by hand one batch at a time. Pearl is a neighborhood with a rich history made by the many people who have ties to the place - the buildings, the river, the brewery - since it was founded in 1881. It is also a place where people share meals, learn, work and live in 324 apartments, fifteen restaurants and cafes, thirteen retailers and eighteen resident businesses and a twice weekly Farmers Market.